January 7, 1997 seemed to be an ordinary day on the Sun. Photographs taken at the Mauna Kea Solar Observatory showed nothing out of the ordinary. In fact, to the eye and other visible wavelength instruments, the images showed nothing at all. Not so much as a single sunspot. But X-ray photographs taken by the Yohkoh satellite from Earth orbit revealed some serious trouble brewing. High above the solar surface in the tenuous atmosphere of the corona, invisible lines of magnetic force, like taught rubber bands, were coming undone within a cloud of heated gas. Balanced like a pencil on its point, it neither rose nor fell as magnetic forces levitated the billion-ton cloud high above the surface. Then, without much warning, powerful magnetic fields lost their anchoring and snapped into new shapes; their precarious balance between gravity and gas pressure, lost. The massive cloud launched from the Sun, crossed the orbit of Mercury in less than a day. By Wednesday this cloud had passed Venus: An expanding cloud over 30 million miles deep, spanning the space within much of the inner solar system between the Earth and Sun. At a distance of one million miles from the Earth, the leading edge of the invisible cloud finally made contact with NASA’s WIND satellite at 8:00 PM EST on January 9. By 11:30 PM the particle and field monitors onboard NASA’s earth-orbiting POLAR and GEOTAIL satellites told their own stories about the blast of energetic particles now sweeping through the solar system. Interplanetary voyagers would never have suspected the conflagration that had just swept over them. The cloud had a density hardly more than the best laboratory vacuums. The tangle of fields and plasma slammed into the Earth’s own magnetic domain like some enormous sledgehammer as a small part of the million mile-wide cloud brushed by the Earth. Nearly a trillion cubic miles of space were now involved in a pitched battle between particles and fields, shaking the Earth’s magnetic field for over 24 hours. The storminess in space rode the tendrils of the Earth’s field all the way down to the ground in a barrage of activity. Major aurora blazed forth in Siberia, Alaska and across much of Canada during this long winter’s night. 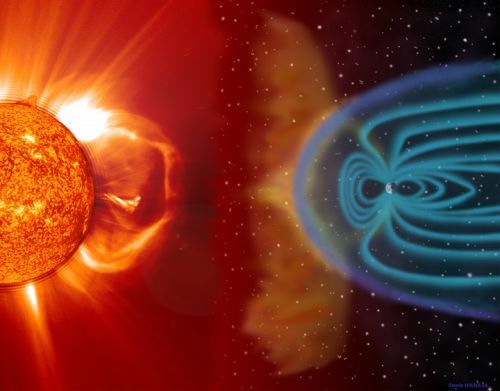 The initial blast from the cloud (astronomers call it a ‘coronal mass ejection’ or CME), compressed the magnetosphere and drove it inside the orbits of geosynchronous satellites, amplifying trapped particles to high energies. Dozens of satellites positioned at fixed longitudes along the Earth’s equator like beads on a necklace, alternately entered and exited the full-bore of the solar wind every 24 hours as they passed outside of the Earth’s magnetic shield. Plasma analyzers developed by Los Alamos Laboratories, and piggy-backed on several geosynchronous satellites, recorded voltages as high as 1000 volts, as static electric charges danced on their outer surfaces. It was turning out to be not a very pleasant environment for these high-tech islands of silicon and aluminum. The storm conditions continued to rage throughout all of January 10th. Just as the conditions began to subside, on January 11th, the Earth was hit by a huge pressure pulse as the trailing edge of the cloud finally passed by. The arrival and departure of this cloud would have not been of more than scientific interest, had it not also incapacitated a $200 million communications satellite in its wake at 06:15 EST: Telstar 401. The top news of the week wasn’t the loss of a satellite, but the devastating earthquake, which had struck Mexico City at 2:30 PM on January 10th and cost thousands of lives. This had come close behind the three million people in eastern Canada who had lost power a few days before the satellite outage. In Montreal, over one million people were still waiting for the lights to go back on under cloudy skies and sub-freezing temperatures. These were very potent human-interest stories, leaving little room at the time for stories of technological problems caused by distant solar storms. Although the news media barely mentioned the satellite outage, the outfall from this satellite loss reverberated in the trade journals for several years afterwards, extending far beyond the inconveniences experienced by millions of TV viewers. 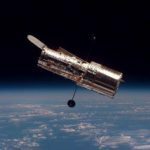 It was the most heavily-studied event in space science history, with no fewer than 20 research satellites and dozens of ground observatories measuring its every twist and turn. Still, despite the massive scientific scrutiny of the conditions surrounding the loss of the Telstar 401 satellite, the five month long investigation by the satellite owner begged to differ with the growing impression of solar storm damage which was rapidly being taken as Gospel by the outside community. Although they had no ‘body’ to autopsy, AT&T felt very confident that the cause of the outage involved one of three possibilities: an outright manufacturing error involving an over-tightened meter shunt, a frayed bus bar made of tin, or bad Teflon insulation in the satellite’s wiring. Case closed. Firmly ruled out was the solar disturbance that everyone seemed to have pointed to as the probable contributing factor. AT&T would not so much as acknowledge there were any adverse space weather conditions present at all. So far as they were publicly concerned, the space environment was irrelevant to their satellite’s health. In some sense the environment was, in terrestrial terms, equivalent to a nice sunny day, and not the immediate aftermath of a major lightning storm or tornado. “…suffered a massive power failure on Jan. 11 rendering it completely inoperative. 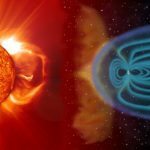 Scientists and investigators believe the anomaly might have been triggered by an isolated but intense magnetic sub-storm, which in turn was caused by a coronal mass ejection…spewed from the Sun’s atmosphere on Jan. 6”. 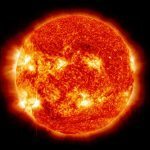 “In January 1997, a geomagnetic storm severely damaged the U.S. Telstar 401 communication satellite, which was valued at $200 million, and left it inoperable”. At the same time Telstar 401 was awaiting its fate, high-speed particles from the cloud seeped down into the northern and southern arctic regions, steadily losing their energy as they collided with the thickening blanket of atmosphere. On January 9, at 8:00 PM EST, the darkened, but cloudy, northern hemisphere skies over Alaska and Canada were awash in a diffuse auroral glow of crimson and green which subtly flowed across the sky as the solar storm crashed against the Earth’s magnetic shield. This quiescent phase of activity was soon replaced by a far more dramatic one, the cause of this is a completely separate set of conditions and events which play themselves out in the distant ‘magnetotail’ of the Earth. Like some great comet with the Earth at its head, magnetic tendrils trail millions of miles behind it above the nighttime hemisphere. At nearly the distance of the Moon, the Earth’s field contorts into a new shape in an attempt to relieve some of the stresses built up from the storm cloud’s passage. The fields silently rearrange themselves across millions of cubic miles of space. Currents of particles trapped in the shape-shifting field accelerate as magnetic and gravitational energies are exchanged for pure speed in a headlong kinetic onrush. Within minutes a beam of particles enters the Earth’s Polar Regions, triggering a brilliant aurora watched by residents of northern latitudes in Canada and Europe. The quiet diffuse aurora which Alaskan and Canadian observers had observed during the first part of the evening on January 10th were abruptly replaced by a major auroral storm which lasted through the rest of this long winter’s night. As the solar cloud thundered invisibly by, a trace of the arctic atmosphere is imperceptibly sucked high into space in a plume of oxygen and nitrogen atoms. The changing pressure in the bubble wall pumped this fountain as though it were water being siphoned from a well. Atoms once firmly a part of the stratosphere now found themselves propelled upwards and accelerated, only to be dumped minutes later into the vast circum-terrestrial zone girding the Earth like a donut. Still other currents began to amplify and flow in this equatorial zone. A river of charged particles 5,000 miles wide asserted itself as the bubble wall continued to pass. Millions of amperes of current swirled around the Earth in search of some illusive resting-place just beyond the next horizon. Like electricity in a wire, this invisible current created its own powerful magnetic field in its moment by moment changes as current begets field and field begets more current. The Earth didn’t tolerate the new interloper very well. The current grew stronger, and the Earth’s own field was forced to readjust. On the ground, this silent battle was marked by a lessening of the Earth’s own field. Compass needles bowed downwards in silent ascent to magnetic forces waging a pitched battle hundreds of miles above the surface. The same magnetic disturbance that made compasses lose their bearings also infiltrated any long wires splayed out on telegraph poles, in submarine cables, or even electrical power lines. As the field swept across hundreds of miles of wire and pipe, currents of electrons began to flow, corroding pipelines over time, and making messages unintelligible. During the January, 1997 storm, the British Arctic Survey at its South Pole Halley Research Station reported that the storm disrupted high-frequency radio communications, and shut down its life-critical aircraft operations. By January 12, the bubble wall had finally passed. 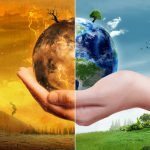 The electric connection between the Sun and the Earth had waned, and the Earth once again found itself at peace with its interplanetary environment. Its field resumed its equilibrium, expanding back out to shield its retinue of artificial satellites. The currents that temporarily flowed and painted the night skies with their color were soon stilled. Meanwhile, man-made lights on another part of the Earth also flickered and went out for 11 minutes. In Foxboro, Massachusetts, the New England Patriots and the Jacksonville Jaguars were in the midst of the AFC Championship game when at 5:04 PM the lights went out at the stadium. A blown fuse had cut power to a transformer in the Foxboro Stadium just as Adam Vinatieri was lining up to try for a 29-yard field goal. It may have been mere coincidence, but the cause of the ‘mysterious’ fuse malfunction was never identified in terms of more mundane explanations. The story did make for rather awful puns among sports writers in 30 newspapers as far away as Los Angeles. A gentle wind from the Sun incessantly wafts across the Earth, and from time to time causes lesser storms to flare up unexpectedly like inclement weather on a humid summer afternoon. The Sun constantly emits an almost imperceptible wind of stripped atoms, dragging into space long fingers of magnetism into a great pinwheel pattern spanning the entire solar system. 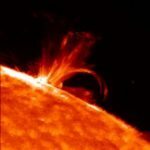 The arms are rooted to the solar surface in great coronal holes, which pour plasma out into space like a dozen faucets. Just as magnets have a polarity, so too do these pinwheel-like arms of solar magnetism. North-type and south-type sectors form an endless and changing procession around the path of the Earth’s orbit as old coronal holes vanish and new ones flare up to take their place. As the Earth travels through these regions, its own polarity can trigger conflicts, spawning minor storms as opposing polarities search for an illusive balance. The sensitive magnetotail region trembles with the subtle disturbances brought on by these magnetic imbalances. Minor waves of particles are again launched into the Polar Regions as the magnetotail waves like a flag in the wind. Lasting only a few hours, magnetic sub-storms are nothing like the grand day-long spectacles unleashed by million mile-wide bubble clouds. The solar surface can also create storms that traverse interplanetary space with the swiftness of light. Near sunspots where the fields are most intense, explosive rearrangements cause spectacular currents to flow. Crisscrossing currents short-circuit themselves in a burst of heat and light. Within minutes the conflagration creates streams of radiation arrive at the Earth less time than it takes to cook a hamburger. In the ionosphere, the lethal rain of X-rays strips terrestrial atoms of their electrons. For hours the ionosphere ceases to act like a mirror to short-wave radio signals across the daytime face of the Earth. The ebb and flow of the atomic pyrotechnics on the distant Sun are reflected in the changing clarity of the radio transmissions. Soon, the conditions that brought about the solar flare-up just as mysteriously vanish. The terrestrial atmospheric layers slough-off their excess charges through chemical recombination, and once again radio signals are free to skip across the globe unhindered. As dramatic as these events can be as they play themselves out, they do so under the cloak of almost total invisibility. Unlike the clouds that fill our skies on a summer’s day, the motions of the solar plasma and the currents flowing near the Earth have much the same substance as a will ‘o the wisp. All you can see are the endpoints of their travels in the exhalations from the solar surface, or in the delicate traceries of an auroral curtain. Only by placing sensitive instruments in space and waiting for these buoys to record the passing waves of energy, have we begun to see just how one set of events leads to another like a fall of dominos. It is easy to understand why thousands of years had to pass before the essential details could be appreciated. Over most of Europe and North America, let alone the rest of the world, fewer that two nights each year have any traces of aurora, and if you live in an urban setting with its light pollution, aurora become literally a once in a lifetime experience. In bygone years, even the urban sky was dark enough that the Milky Way could be seen from such odd places as downtown New York City. Every week or so in some localities, the delicate colors of the aurora would dance in the sky somewhere. Lacking our modern entertainments of TV, radio and the Internet, previous generations paid far more attention to whatever spectacles Nature could conjure up. For the modern Urbanite, this level of appreciation for a natural phenomenon has now become as foreign as the backside of the Moon. Most of the residual legacies of fear and dread that aurora may still command have been substantially muted, especially as our scientific comprehension of the natural world has emerged to utterly demystify them. More importantly, they do no physical harm, and it is in this specific fact that they have been rendered irrelevant. We understand very well the calamities that volcanoes, earthquakes, hurricanes and tornadoes can cause. For much of human history, volcanic eruptions and earthquakes have been civilization’s constant companion with such legendary episodes as Vesuvius, Etna and Krakatoa indelibly etched into the history of the Western World. In the Far East, seasonal typhoons and tsunamis produce flooding the likes of which are rarely seen in the Western World. It wasn’t until settlers expanded throughout the Bahamas, the Gulf of Mexico, and the interior of North America that two new phenomena had to be reckoned with: Tornadoes and Hurricanes. As human populations established themselves in the New World, our vulnerability to the devastating effects of tornadoes and hurricanes increased year after year. Like the settlers to Kansas who discovered tornadoes for the first time, we have quietly, but steadily, entered an age where aurora and solar storms have become more than just a lovely but rare nighttime spectacle. During the last century, new technologies have emerged such as telegraphy, radio and satellite communication – and all of these modern wonders of engineering have shown consistent patterns of vulnerability to these otherwise rare and distant phenomena. The most serious disruptions have followed relentlessly the rise and fall of the sunspot cycle and the appearance of ‘Great Aurora’ which, as Table 1 shows, arrive every 10 years or so, and are often seen world-wide. Like tornadoes, we have had to reach a certain stage in our colonizing the right niches in order to place ourselves in harms way. Aurora are only the most obvious sign that more complex and invisible phenomena are steadily ratcheting up their activity on the distant solar surface, and in the outskirts of the atmosphere high above our heads. When great auroral storms are brewing, they inevitably lead to impacts on our technology that can be every bit as troublesome potentially deadly as an unexpected lightning storm, or a tornado.